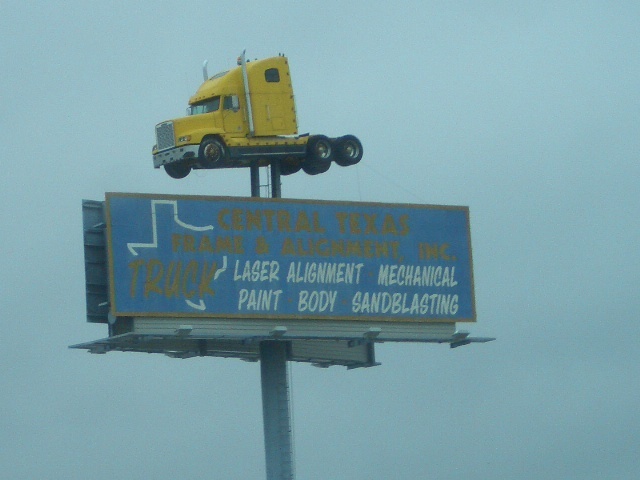 You see all types of displays like that while driving in TX especially along I-20. There's one hoisted on Hwy 101 south of San Francisco - far from Texas. Still makes you think of the crane and the hoisting, it's still cool.